After four days of the toughest action it has faced this year, TOYOTA GAZOO Racing WRT has secured a points finish with both crews in the top 10 for the first time, who headed into the final day separated by just 0.3 seconds. Mexico combined the challenge of both heat and altitude, meaning that the team had to overcome the same overheating problems that affected most of the field on Friday. Each driver faced their own additional difficulties: Jari-Matti Latvala ran first on the road to sweep it clean for everyone else during the first day of proper stages, while Juho Hänninen was unwell throughout the event. 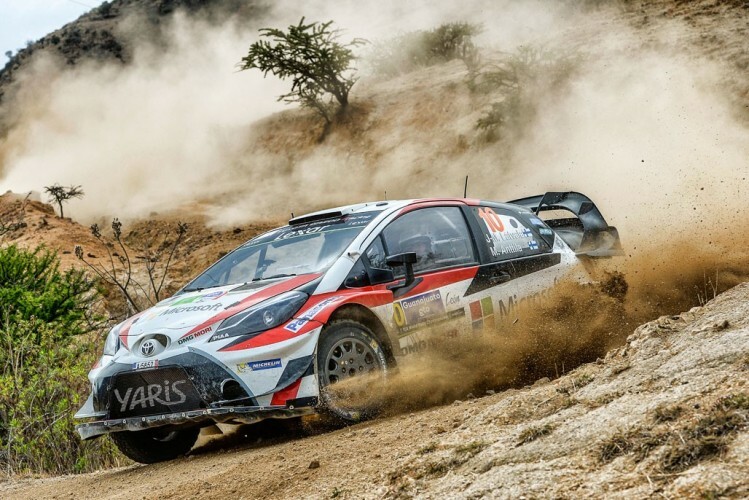 At the end of the rally, TOYOTA GAZOO Racing is still runner-up in the manufacturers’ championship, while Latvala is second in the drivers’ standings and Hänninen is 11th. The final day contained just two stages and 56 kilometres, but they were crucial ones as the final stage was also the Power Stage, with additional driver points on offer. Jari-Matti and Juho were both targeting results on this final stage, with Jari-Matti scoring two points thanks to a fourth-fastest time. From gravel the crews now switch to asphalt and the legendary Tour de Corse in Corsica from April 6-9: round four of the championship. This is the first traditional asphalt round of the season, noted for its twisty hairpin bends, so it’s yet another reset and new art to master for TOYOTA GAZOO Racing. The weather in Corsica at this time of year can be uncertain, so the drivers will need to be prepared for anything.